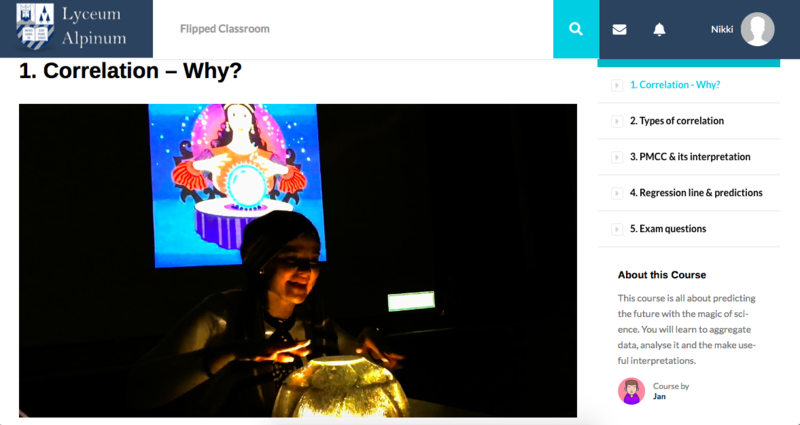 Enable teachers to create digital classes in order to create more room for discussions and questions in the classroom. Teacher and students had to get used to the idea of a digital class, but got to appreciate the idea. A flip teaching action can be created pretty quickly (less than 24 hours) with the right kind of support. Teachers wouldn't know how to do movies and how to include this in an online form with questions & tests. What's the problem you want to solve and why? Most of the school time is spent with one teacher presenting information to many students. Therefore, not much time for discussions or interactions is left. Students could be much more engaged and interactive, if the curriculum was structured differently. What's the solution you are suggesting? The integration of technology in the classroom allows to “flip” the classroom. This means that the accumulation of theoretical information can happen individually on digital learning platforms which then sets more space for higher order activities such as group discussion and problem solving during class time. Who are you? Jan Bühlmann, founder of gymitrainer.ch, an online learning platform for the Gymi exam in the canton of Zurich.